Of course we did not used that set. And once the issue appeared mid air, the RTH launched at 66% as the bird thought it was flying with one battery only. 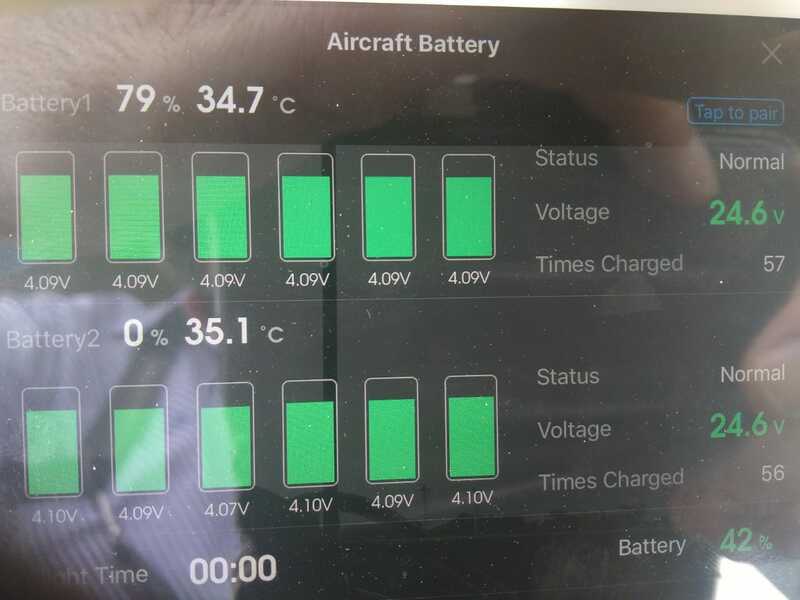 The batteries were 100% at take off and showed 0% a couple of minutes after take off. Temperature was OK and no other error was shown before the issue. the sets that showed 0% in one battery, now show N/A IN BOTH BATTERIES. Same situation: took off with 100% of charge and a couple of minutes later, it was N/A. Scary. We were doing a high shot over some people and the warning was CRITCAL LOW BATTERY WARNING: landig gear down and start going down. I was able to bring it home, but it was not a funny situation. Tried the other batteries and suddenly the issue appeared in five more sets. N/A in one or two of the batteries. Nobody having this same issue? I have 4 sets of batteries and have never seen this issue. Does it appear in the same battery position every time? I&apos;m wondering if in your case it is Inspire 2 it&apos;s self. Firmware update did not fix battery issues for inspire 2 I had multiple sets fail today. Ken Booth You said they were bad on .100? Shawn Lamm I have the same exact problem EXACT same problem. Been going round and round with DJI. All semi new Batts!! Shawn Lamm I&apos;m so freaking frustrated. Could someone from DJI please explain? It´s not fair to say "they are older than six months, buy new ones". We suddenly lost 13 batteries. In the middle of a job. So if we cannot trust more than six months in DJI equipment, it´s a risky bussines. On both of my inspire 1s , every now and again all will look proper, but the name is blank. If I foolishly didn’t check and take off then I’ll get all sorts of crazy readings, dropped links, battery screwed reading, etc. Been on my preflight list for quite awhile now to ALWAYS check that proper name is there. 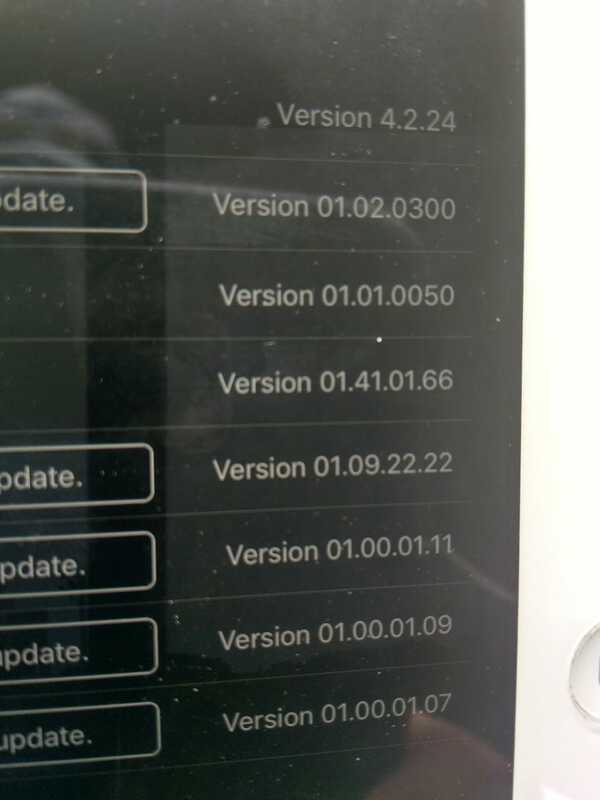 Seems that is the worst firmware since... .200 ? We tried what DJI says: let the batteries rest for 72 hs to fix them with the .0300 update. They work fine for the first run. When we recharge them and try to use them in the field, they drop to 0% as they did previously. The fact is that with .0100, we had two sets, one battery in each set that showed "0%". Now, right after upgrading to .0300, we suddenly have six sets, 13 batteries that are unusable. What the hell is going on??? When they drop to 0%, the Inspire does not RTH but tries to descend in the same place it is as it detects "critical low battery". Really dangerous as seconds before the remainig battery was close to 90%. 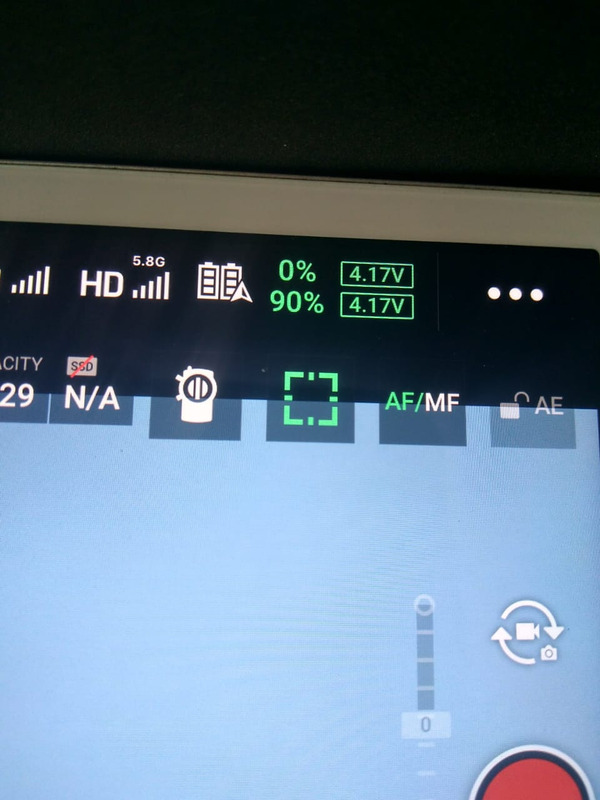 Sorry for your battery problems, but it would be helpful to use battery voltage rather than %, the indicated % is only an indication, the voltage is the critical measure of charge. From what I&apos;m seeing, it&apos;s only the newer TB-50 batteries that experience this. Mine are going on two years old and I&apos;ve had no issue with all 30 of them. I tagged some more yesterday and noticed they had a different indentation where the battery lights were. Five of the six rented batteries that were the new version were all bad. Four the other four without the newer battery light all worked fine. DJI must have changed something in the newer batteries that is causing this. 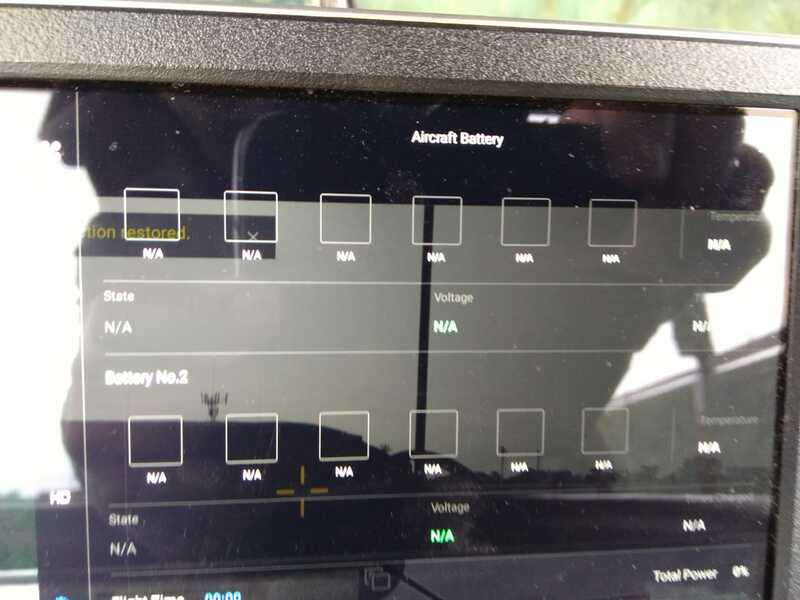 My understanding is that firmware .300 isn’t supposed to correct battery faulty readings in any way - it only protects the aircraft from midair battery shutdown by recognizing faulty battery states when protection kicks - then motors won’t start or it will go into RTH or make critical emergency auto landing... Nevertheless, none of these protections correct battery faulty state. 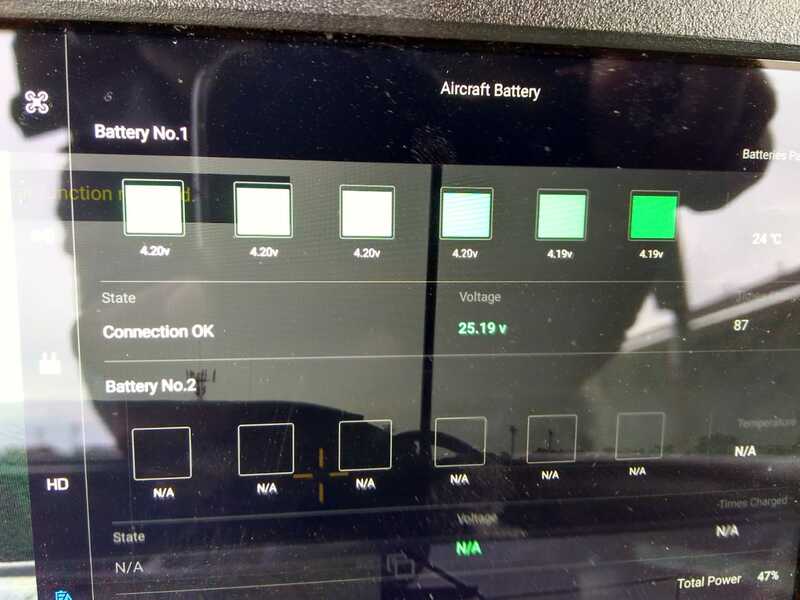 If battery has any kind of problem with its cells or with “smart capacity monitoring” electronics - that problem will remain the same with .300 firmware and battery is no longer fit for use. Firmware .300 will only protect you against sudden crash by avoiding faulty batteries. May be. DJI is saying this would fix them. We had problems with two or three pairs where one of the batteries suddenly showed "0%". When we updated to .0300, suddenly six pairs showed "N/A" in one or two of the batteries (most pairs in both batteries). And yesterday another pair, purchased in August 2018, failed (0% in one battery). All of them failed midflight, minutes after take off. If .0300 is overprotecting the drone, then DJI is still selling faulty batteries, as this FW voided now 14 of them. 12 of them were flying just fine with .0100. What do you mean with different indentation light? Can you identify an older series? The best thing would be to put those batteries in a different drone and see if the behavior repeats or corrects itself. My first thought is that its something in the Inspire that&apos;s malfunctioning. Voltage sensing, CPU, firmware or a combination of the three. All those batteries gone bad, hard to believe and definitely a lot of money on the scrap heap. As everything points to the batteries, and we lost ten batteries in one week, we just want DJI to support customers who have spent thousands of dollars in their equipment and replace the batteries. It´s fair. Most of them are out of the six months warranty period, but everything points to faulty batteries. Even one pair that was purchased in August failed the same way: 0%. But everything points not to the cells, as they seem to be just fine reading the voltages. And every time we had "0%" or "N/A", even in both batteries, we could bring the drone save home even though it was sometimes a couple of hundred meters away. There is some kind of communication error. When reading "N/A", the drone still have power to RTH, and when reads "0%", all the cells voltages reads like an almost full battery. Yes, that makes sense, a communications error. Strange how DJI is pretty quiet about this. Sure does point to the new batteries. I wonder how widespread that problem is. Could be communications error, but doesn&apos;t explain why the LED on the batteries drops from four to one light so quick. I&apos;d think that would be separate from the communication part with the drone. Something must be in error with the batteries or their firmware someplace. I&apos;m personally not a fan of the intelligent batteries and wish they&apos;d use just a battery (Like the old S1000.) and some smart charger to track and maintain them them. RC people have been doing it that way for decades and still are using batteries about as old. Six months for a DJI battery is pretty poor, imho, and why it&apos;s best not to buy a bunch at once and instead spread their purchase out so you don&apos;t have them all fail at once and be out of the short warranty. Yes. That´s right. The "0%" battery keeps one led blinking only. Internal error. 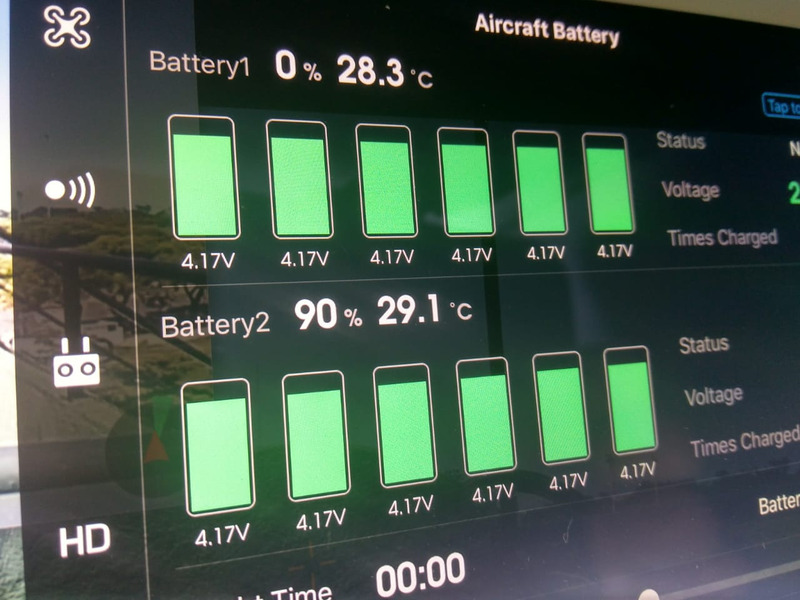 The cells power and control pins give full voltage to the drone (that´s why the app can read the voltages and they are all OK and the drone can fly), but the battery itself thinks it´s empty. I think the intelligent battery system is a good thing. Intelligent RTH, etc. But here there is some kind of error here. We think it as a virus: all the batteries we have, at least the newer ones, we are still using older ones with no issues, seems to get "infected" and give this error. Anyway, by the time this is sorted out, we want DJI to replace all of them. We lost almost USD 2000 in one week. Most if there are only "a small number" of faulty TB50. This wouldn´t hurt DJI. It definitely sounds like an issue with software instead of hardware. Without access to raw data from the intelligent battery system you&apos;re a bit limited. As much money as it will cost you to not operate, I would never fly over people with batteries malfunctioning like that (even if it&apos;s legal in your country). Looks like another unfortunate case of DJI doing nothing to directly help a customer. Software updates should cause the warranty period to reset to zero. After all you put a new part in a car and that part has a six-month warranty, why should software be different. Is there any functional difference between "o%" and "N/A"? I don&apos;t see any crucial functional difference regarding battery health, while N/A seems more truthful. Actuality there is problem with the battery which doesn&apos;t provide reliable capacity info - so capacity is not 0% as actually it is unknown capacity. So, new firmware just makes thing a bit more clear. Nevertheless, that doesn&apos;t solve your problem. with the battery. 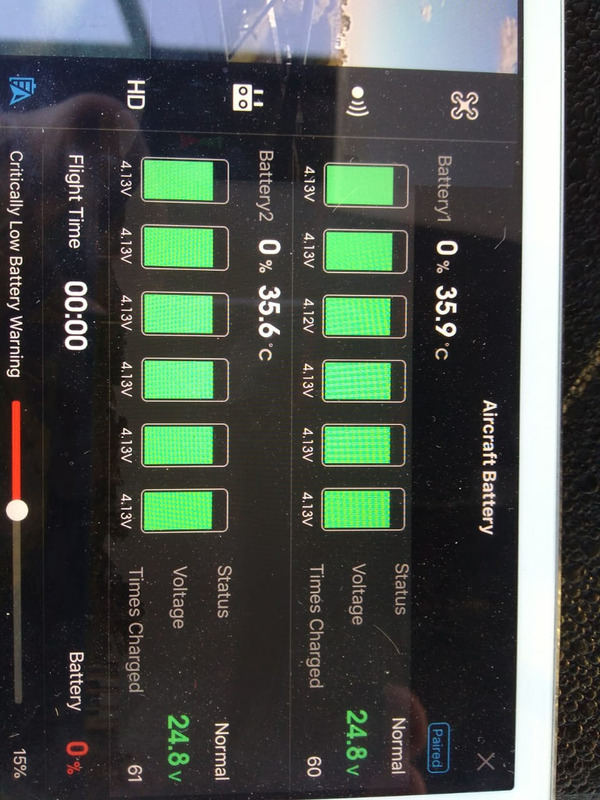 With "0%" you still can read each cell volatge and see that the drone is drainig power from the battery. At least to analyse the situation afterwards. With "N/A" you can´t tell anything. Anyway, not either of the situations make the drone safetly flyable. We land as soon as we detected this problem. The afternoon we updated to .0300 was like: "sh.t! another pair failed! and this time shows N/A! And another! And another! And another!..." 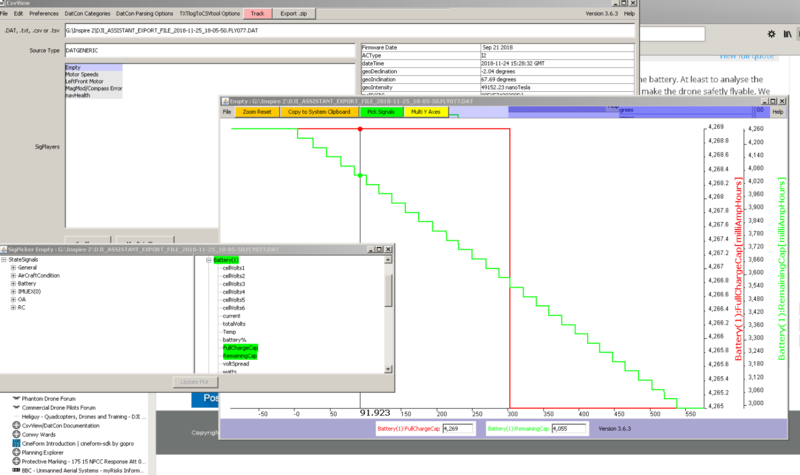 Have you tried viewing a DAT file in CSVview (or similar). There&apos;s a load of battery data available there - it may point to the problem or the area to investigate. You could compare good with u/s units and so on. Just a thought - I hope you get it sorted soon anyway. That seems as very good idea. It may be that DAT contains more info on N/A batteries despite the info is missing In Go app. 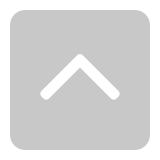 Could you be kind to share your workflow for exporting DAT to CSV? It may be very useful to many people, including myself. Yes, of course, pleased to do that. Use DJI Assistant to save the DAT file(s) to PC or Mac. Download CsvView programme and execute it. 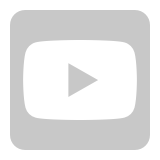 Make sure it is CsvVew, not CSVviewer, as this does not seen to open DAT files. Import the DAT file you need by clicking in the top box and navigate to your file; examine the data. There is a huge amount of data available, some of which is beyond my understanding! What a nightmare to lose so many batteries in such a short time, how many users are suffering this issue? Thank you for this helpful tool. I had the same exact issue! So what&apos;s the next step for you @Airking Pilot? How many batteries have been killed? You going to go out and buy new ones and cross your fingers that they dont break too? Is the Inspire 2 even worth the headache anymore or should people just abandon it at this point and take the Phantom (or even Yuneec at this point). It has been 6 months of WORSENING firmware update, since V100 things got worse and worse and worse. This was fixed in v100 I believe, it is of course back now in v300 from what I read. no end in sight, no response from DJI. They know that this is a failing project at this point. 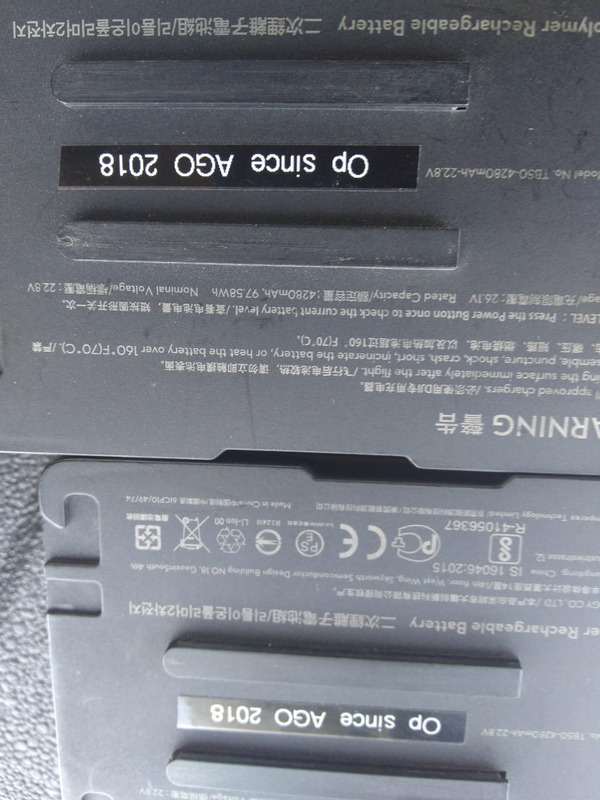 I&apos;m curious about how you can tell the difference between an older battery and a newer battery design? 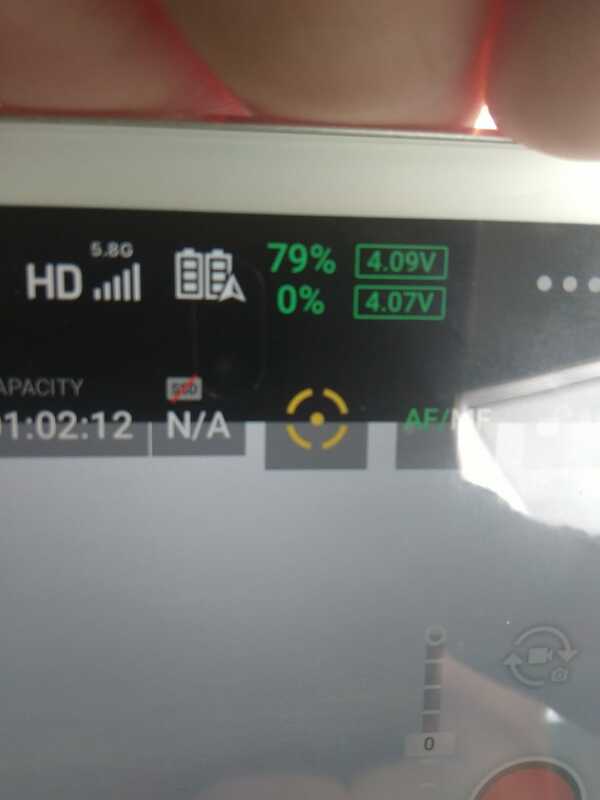 Do you have photos that show what is maybe a Generation 1 battery that works, verses a Generation 2 battery that fails sooner?